Happy Friday lovelies!!! 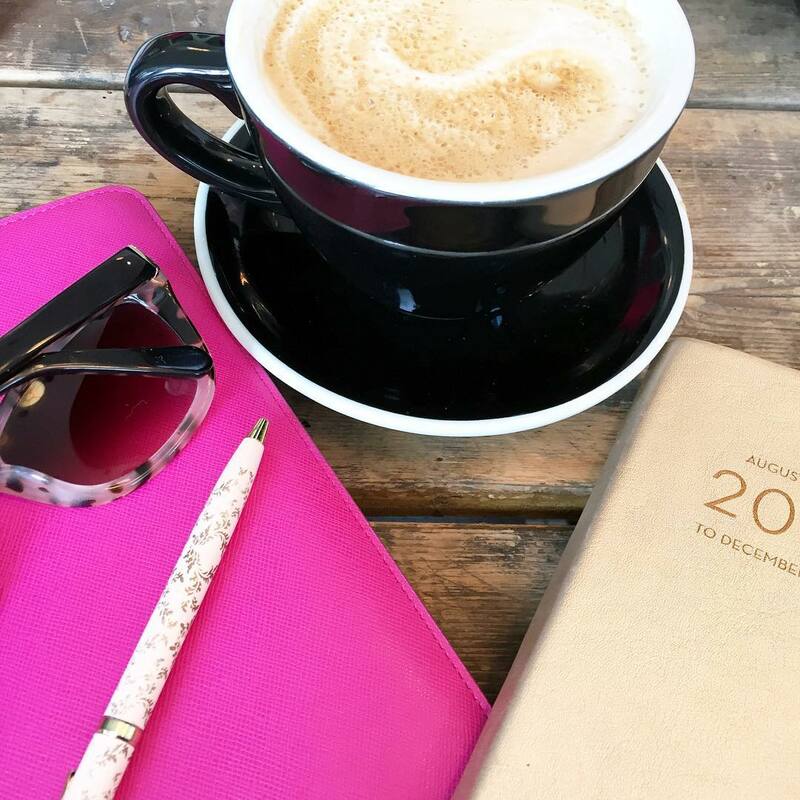 It's officially the start of a new month and who doesn't love a clean slate?! New England is cooperating with the new month and giving us temps in the 70's this weekend - so you'll find me outside for most of it!!! 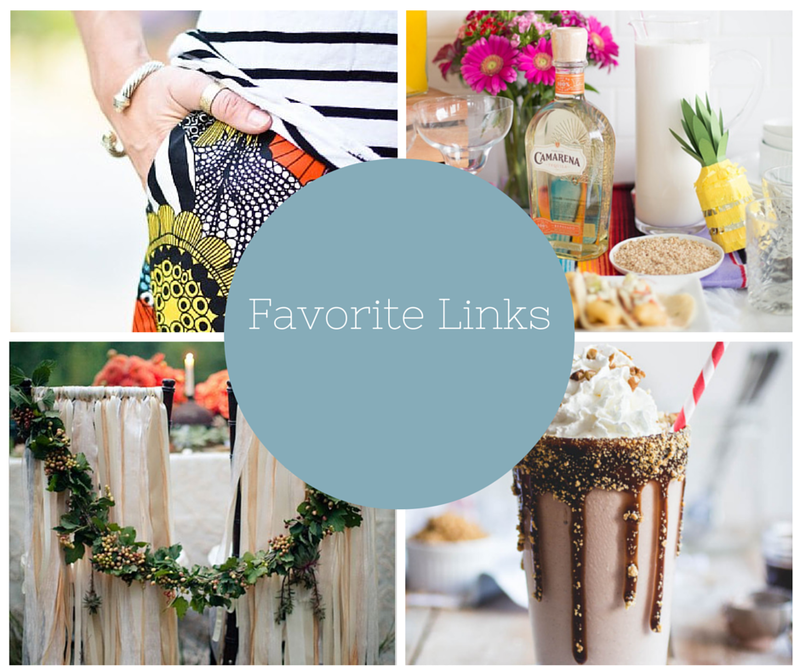 Linking up with Amanda and Liz for a few of my favorite things! 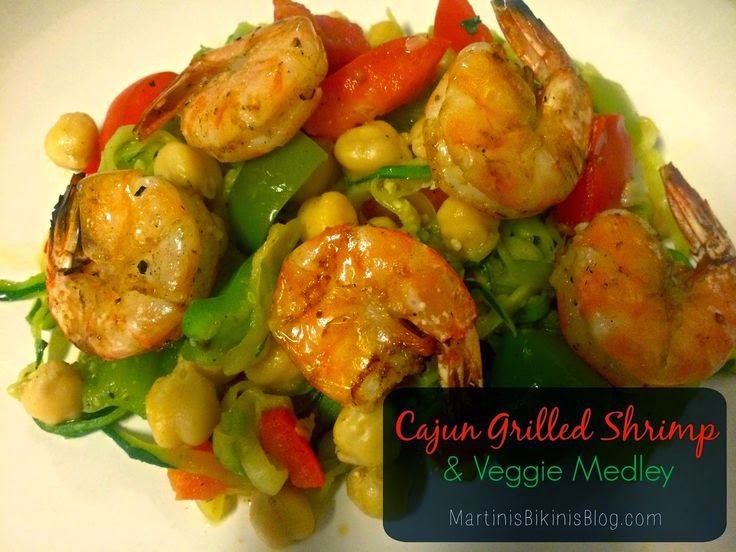 On Wednesday we made Emily's Cajun Grilled Shrimp Veggie Medley and it was delicious!! It was really filling without being heavy and I highly suggest trying it! 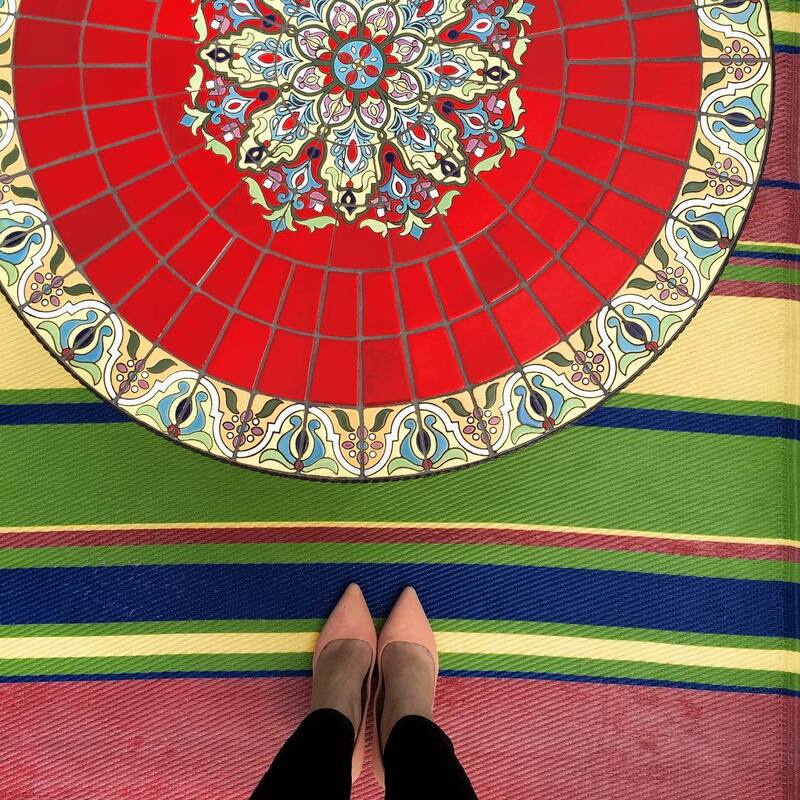 I could not love Oliva Palermo's look more!! She looks so put together and that skirt is just amazing!! Wearing my favorite spring trend with suede colored heels too! As a late twenty-something I have a hard time finding products that are directly aimed towards my age bracket - sure there is preventative, but nothing that is targeted at 20-somethings...at least not that I've found. I just found out about Origins "original skin" renewal serum and I'm so excited to try it because it's specifically targeted towards women transitioning from their 20s to 30s! I'm also a huge fan of Orgins products as a whole so I'm hopeful I'll love this too! I'm getting a much needed and long overdue haircut this weekend and I know myself enough to not even think I'll do anything drastic, but my layers need to start looking like layers...and I am even thinking of going back to a side swept bang! A few inspiration pictures above! Thoughts on a hairstyle? + Have you incorporated stripes into your wardrobe yet - here's a style post on why you should! + How delicious does this Kentucky Derby pie milkshake look? Hope you all have a wonderful first weekend in May and see you on Monday! i actually bought that skirt she's wearing! happy weekend! I love Olivia's outfit too! Have a great weekend! I love Olivia's outfit too! Can't wait to see what you end up doing with your hair! I always have big ideas and then chicken out! Ha! I definitely need to try out that shrimp dish! I've made one with rice before but this looks lighter and better for spring/summer! :) Love the hair styles--I can totally see you rocking it!! LOVE those hair styles and they would look great on you! That floral skirt and chambray top is something I would totally rock - such great outfit inspiration!! Happy Friday!! That shrimp recipe looks delicious - going to be saving that one!! I love all of those hair styles too! I have been checking the weather every day this week and I cannot wait!! I love that floral skirt it is so perfect for spring. And I really like the first hair style with the side sweeping bangs and long layers! I love that spring outfit! It's so girly! I love both brunette hairstyles, I wear my hair a lot like the Katie Holmes pictures but the layers on the pic on the right would look great on you too, and suits your length. I am looking forward to some Margaritas for Cinco de Mayo! Happy Friday! Happy Friday! I can't believe it's May already. I think a side swept bang would look great on you - can't wait to see pics! And how amazing is a Margarita bar?! Have a great weekend! Um sign me up for the pie milkshake, that sounds amazing. And I think you'd look lovely with a side swept bang! That milkshake, oh my gosh... Why do I have to see that before going to gym!!! Haha. Love Olivia's outfit, and I desperately need to get my hair done. I'll have to check out that eye cream and see if they have one for women in their 30s. :-) I hope that you have a nice day today and a fab weekend!! That skirt is precious! Thanks for sharing, and happy Friday! Yum that shrimp looks amazing!! Olivia's outfit is so perect! Love the chambray and florals! Your hair would look amazing layered since it's so thick! I say do it! Have a wonderful weekend! oh my goodness, I need those hair styles. I wish I had long flowy hair like yours!!!!! Happy May and have a fabulous weekend, friend! I love all the layers in those haircuts! It’d look so fresh for spring. Let me know your thoughts on the Origins product! I had it in my hand the other day, but didn’t leave with it. Excited to hear your thoughts! Your hair is so gorgeous, you could pull off any hairstyle! Go for the side swept bangs! I love that skirt that Olivia P is wearing - so perfect for spring weather. I think a side-swept bang would look great on you, but as a girl who's growing out bangs - don't go too short! They are a pain to get back to a manageable length. happy weekend! 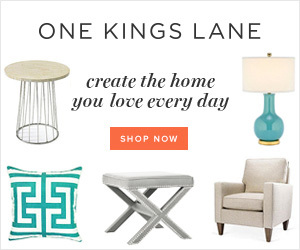 Thank you for the margarita link - I'm hoping to have a few of those Tuesday! I can't wait to see your hair cut - I need one realllllly bad! Olivia Palermo always looks perfectly put together, I love her style! Those pictures of the hair make me want my long hair back again!!! is that katie holmes??? love her hair but all i can think about is: that takes work LOL. I get so much style inspiration from Olivia Palermo! I loooove that outfit! I posted a link on my blog today with a bunch of looks. That shrimp looks delicious! Mmmm, the recipe looks delish! Longer side bangs (like in the pictures) would look stunning on you! I seriously wish I was your stylist, your hair is GORGEOUS! Enjoy your beautiful weather this weekend!! Oh yay! You tried the shrimp recipe! I'm so glad you liked it :-) That makes me smile! I hope you have a fab weekend! Can't believe it's May already...2015 is just swooshing by! AH! I love that skirt so much. Another shrimp recipe?! Get it girl! I need to start cooking shrimp at home, but I'm chicken. Happy May! I love the hair style you picked! YES to that hair! So gorgeous and I'm sure you will totally rock it! LOVE that outfit, so perfect for Spring and Summer! Yay for new hair, I love the style Katie Holmes has in that pic! Hope you have a great weekend! You always have the best links on Fridays, and I always look forward to this post. The shrimp recipe looks heavenly. Have a great weekend! I totally have hair envy now from seeing all those lovely ladies hair styles!! Happy Friday!! Totally love Olivia's style. She always looks amazing. Mint Julep milkshake, yes please! Have a wonderful weekend. Love Olivia's outfit! She can do no wrong haha! Love the hairs. I need to get mine cut quite badly, as well. I always think I want bangs until I get them, then I remember what a pain they can be when they don't do what you want! That recipe looks delicious! So does the milkshake. I always love a jean shirt with a skirt!!!! So I have a funny hair story - got my hair done this week - the hair dresser FORGOT to cut my hair. I even mentioned it to her & said, You didn't cut my layers... she said, Yes I did. I WISH I looked at the floor to see if there was hair... but my layers are an inch below my chin &when I get them cut, they barely go behind my ears. How funny is that?!?!?! I may have a new look now. You should totally do that to your hair! Layers are beautiful and work on anyone! Can't wait to see what you decide on. Olivia can do no wrong. (; Have a great weekend! Seriously? I don't even like milkshakes and that looks amazing. that milkshake looks amazing, and i don't even like derby pie!! that recipe looks deeeelish. so printing that out right now. That outfit is SO cute! I'm obsessing over that skirt! Can't wait to see your new hair! I need mine done bad! Cajun grilled shrimp?! YUM. And I am in love with that skirt and hair style. I miss my long hair sometimes! 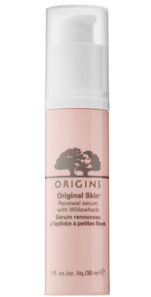 I love origins and def think I need to check that serum out. Time to head to Sephora for a sample! It just hit me this morning, my birthday month has arrived!! 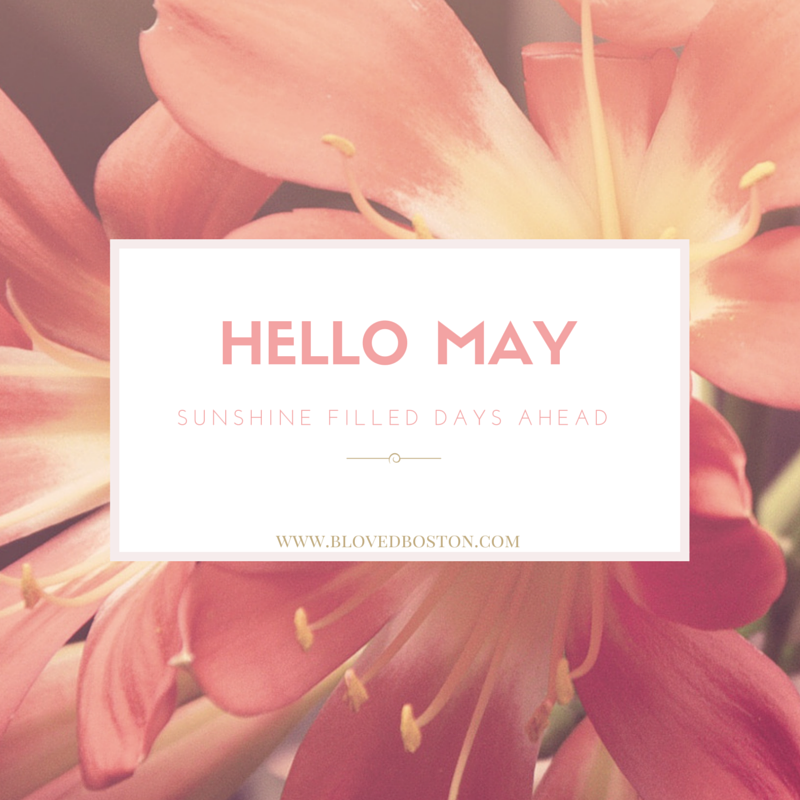 I love May- for so many reasons. I am adding that Origins serum to my list for sure... Happy weekend! Ok, you would look ahhhhmazing with side swept bangs and long layers! Love Katie Holmes' hair! Olivia Palermo just needs to swap closets with me and I'd be a happy camper. Definitely going to check out That Origins stuff... or is it too late now that I'm 30?!? ;) Happy Friday! I love those hairstyles! That would be my idea cut if I could get my hair to look like that! Oh my gosh that margarita bar is everything! Saving that for Cinco de Mayo for sure. Happy Friday Biana! that shrimp dish looks so good! I love that skirt and I cant WAIT to see your hair! Definitely do the bangs! A pie milkshake??? Yum! I pinned that shrimp recipe...I totally want to start making shrimp at home for Chris. He loves it and I have never made it myself. I love all those hair options. I go back and forth about every other hair cut on side swoops. My hair is just too thin for it but I love it on other people. Have a great weekend! You had me at milkshake. That looks ridiculously amazing. Love Olivia Palermo's style. That skirt is perfection. Can I reach through the screen and have that milkshake?! Love that skirt and that hair cut! So pretty! I want that milkshake NOW! It looks so delicious. I'm also loving your hair inspiration, I say go for it girl! It grows back and it's not like you're doing anything totally drastic! Can't wait to see what you do whatever it may be, your hair is always gorgeous! 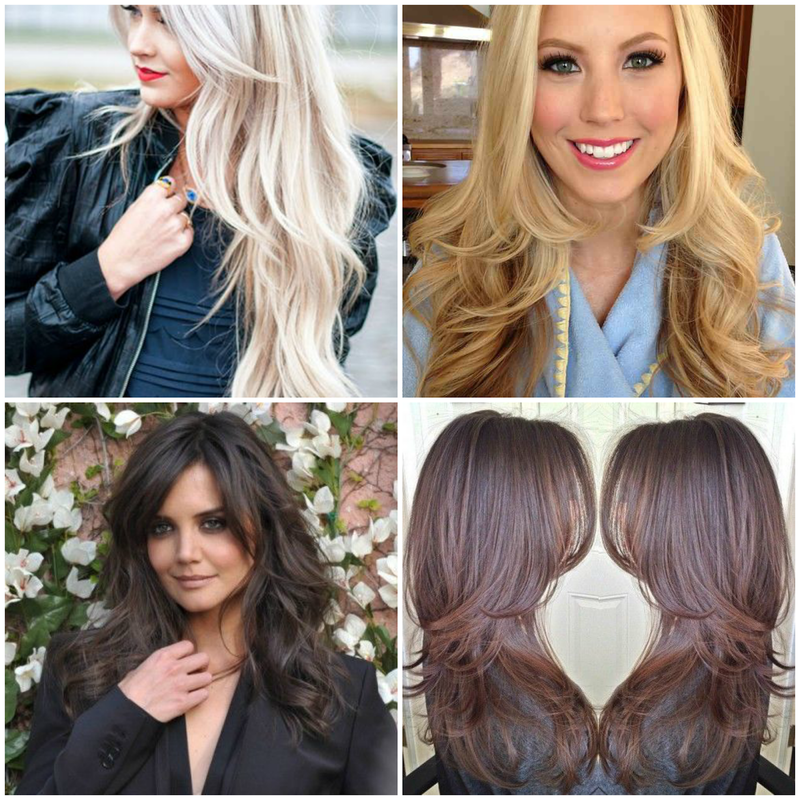 Your hair inspiration board already is on my Hair board on Pinterest! I'm so in love with all the styles - you TOTALLY could rock some Katie Holmes bangs/layers. Olivia Palermo is such a style guru - I wish I could raid her closet. Have a wonderful weekend, girl! We HAVE to try that grilled shrimp recipe stat. It looks way too good! Tell those 70 degrees days to stay put!! That grilled shrimp looks so tasty!! Perfect, perfect... I have a hair appointment next Saturday and I want my layers back. I pinned your pic and will be showing it to my hairdresser!!! Can't wait to see yours! Ohhh a margarita bar! Awesome idea. Olivia is always on point - always love her. Ohh I love Olivia's floral and chambray look-- though she looks amazing in just about anything! I'm actually currently using a toner from Origins that I think is more geared towards older women, but when I was looking at their different options it was the one that appealed to me the most. I'll be interested to hear your thoughts on the serum! I can't wait to see your hair cut! The first and fourth pictures are my favorite, but I'm convinced you could pull off anything with your hair! It's always so pretty! I am definitely trying that shrimp and veggie dish! YUM! Olivia Palermo totally sold me on the Milly collab too. LOVE that skirt. Olivia can do no wrong. Love the chambray top and bright skirt! I'm going to have to try the shrimp dish! It looks delicious! That floral skirt is so stunning!! Love all those cuts! The Katie Holmes style is definitely my favorite one! She looks gorgeous! love, love, love that cut!